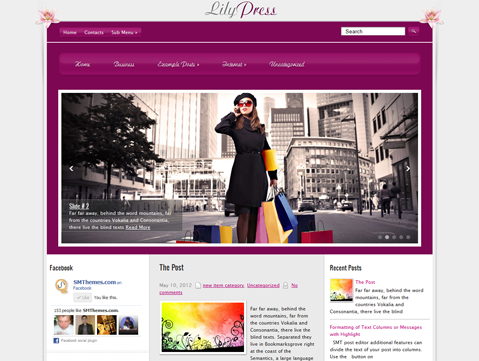 LilyPress is an easy-to-use premium WordPress theme suited for fashion-related blogs, e-magazines and websites. It has been built after careful study of latest designs and fashion trends. It has a rich mix of white and purple colors and is ideal for female bloggers. In addition, the theme has great features such as the Responsive Web Design, which means your website is optimized for PC, tablet and mobile devices. 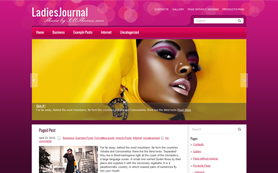 It is also easy to setup a fashionable e-shop with its Ecwid capability. Download the free theme or buy to get the ad-free version.